We have a new SWEDISH CHAMPION! Zucchero Di San Gimignano got his Swedish Champion titel today at Gällivare NAT. All dogs did very well, im so happy and proud! 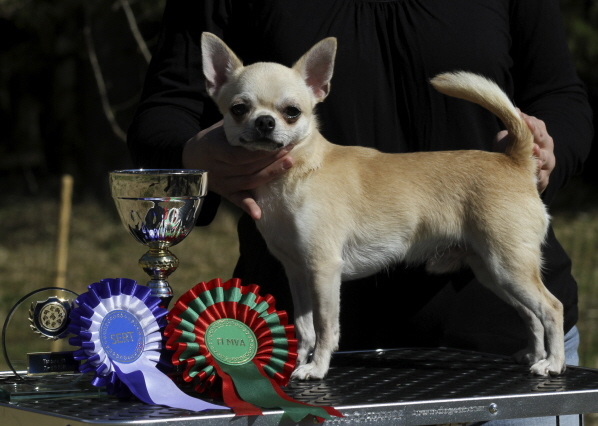 Congratulations to Heros owner Tanja Heikkinen at tancherry Chihuahuas. CQ, 2 BEST MALE, R-CACIB, CAC and new SWEDISH CHAMPION!! !